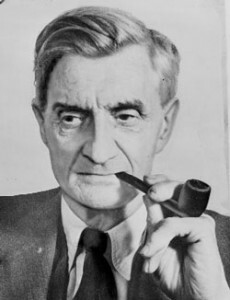 On this date in 1927, Robert Greene Elliott — the “state electrician” who wired the majesty of the law to condemned men and women from Rockview, Pa. to Windsor, Vt. — had the busiest day of his illustrious career. Once just a regular prison electrician, Elliott graduated himself to the euphemism in 1926 and was soon the go-to angel of electric death throughout the northeast. He pulled the lever a reported 387 times for men and women who sat in the new killing device in New York, New Jersey, Pennsylvania, Massachusetts, Connecticut and (just one time) Vermont; when John Dos Passos wrote that “they have built the electricchair and hired the executioner to throw the switch,” well, he could have been talking about Elliott’s $150-per-head bounty. January 6, 1927 was a full and lucrative day for Elliott. He started the day off with a triple execution in Boston’s Charleston Prison — the first triple electrocution in Massachusetts history. * Then he took a train to New York — relaxed with family — took in a picture — and then conducted the Empire State’s triple execution in the evening. (All six of his luckless subjects in either state had been sentenced for various robbery-murders.) His $900 in wages between the two occasions would be the equivalent of a $12,000+ payday today. Friend of the site Robert Walsh has a wonderful post detailing this character’s remarkable career; venture if you dare into the world of a prolific killer of the Prohibition and Depression eras, here. 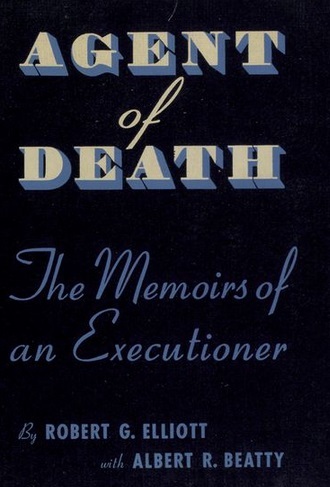 Elliott also wrote an autobiography, Agent of Death, which is out of print and difficult to come by. * Elliot would return there a few months later for a more famous trio: Sacco and Vanzetti, along with their accomplice Celestino Madeiros. Some other noteworthy clients of Elliott: alleged Lindbergh baby kidnapper Bruno Richard Hauptmann and illicitly photographed femme fatale Ruth Snyder.